Adriana Yue is a freelance web project manager and has an obsessive habit of collecting stamps on her passport and taking pictures of any strangers and objects, recreating scenes in any old movies she’s ever watched. She firmly believes she will end up like the crazy cat woman from The Simpsons. Adriane Lee is a freelance film producer and designer who loves travelling, photography and all animals big and small. His wish is that people will adopt, not buy; sterilize, not breed, love and not abandon their pets. Alexandra Jen Wong is currently waiting to grow up. Until that happens, she plans on travelling, writing postcards, taking pictures, and spending rainy days in the company of good books and lap cats. Aloysius Low is a tech writer at popular website HardwareZone.com and recently took up photography as a hobby. Owner of two cats - Nomnom and Mookie, he keeps himself amused by trying to get them to pose for shots which he then spams all his friends with. Amy Wan is a designer presently working in Singapore. Se loves travelling, good food and sports, and shares her home with three cats - Esky, Simba and Russell - who act as her bodyguards when she is home alone. 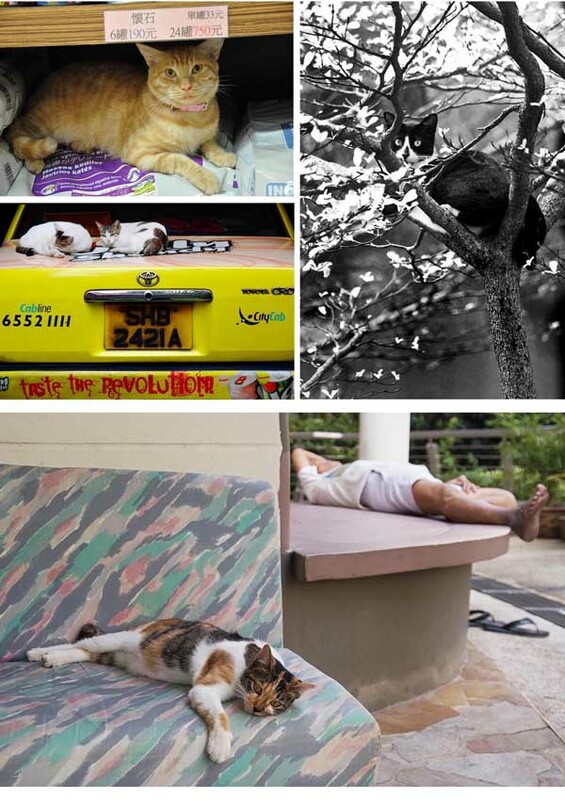 Barnie Leow is a professional photographer who enjoys taking occasional pictures of stray cats. While he shoots architecture, interiors, people and corporate portraits, the wandering stray cats will always have a special place in his heart, and in his frame. Carlyn Law is a PR consultant by day and off duty, she is a hungry photojournalist who is always on the prowl for good food, green pastures and cats. As organiser of ‘Cats Of The World’ and mamma to two cats, she is thrilled that people are loving the exhibition. She wishes that everyone will love and protect the animals and nature on planet earth. Chen Bin Yen is the co-founder of a local web design business who loves cameras and cats. These days, he only has time to shoot his nine-month old boy. Cheoh Wee Keat is a student studying in London. He thinks that rocks and cats are the most beautiful things life has to offer, and that while both can be stroked, the latter is kinder to his hands. These two pet subjects are thankfully available in large abundance in Singapore. Christopher Tan used to be more of a dog person, but his cat-loving friends and their cats have both rubbed off on him. One of the best compliments he has ever received was when a cat called Spot fell fast asleep in his lap. Cyrian has come to appreciate nature and photography is his way of telling stories about nature, giving it a human context through his lens. He hopes that through his photos, he can show those caught in the rat race to take a moment and see the beauty of nature around us. Dennis Lee is currently working as a technical support engineer with RBS WorldPay. He owns two adorable cats at home and likes to spend his weekends roaming around Singapore taking photographs. He is very much into travel, landscape, portraits, cats and food photography. Gary Quek and his wife Alice love their two cats and one dog. Working in civil service, Gary loves The Beatles, modernism, mountain biking, architecture designs and shopping in Tokyo. He is currently fantasizing about a villa in Lombok. Ketan Shah took up photography five years ago. 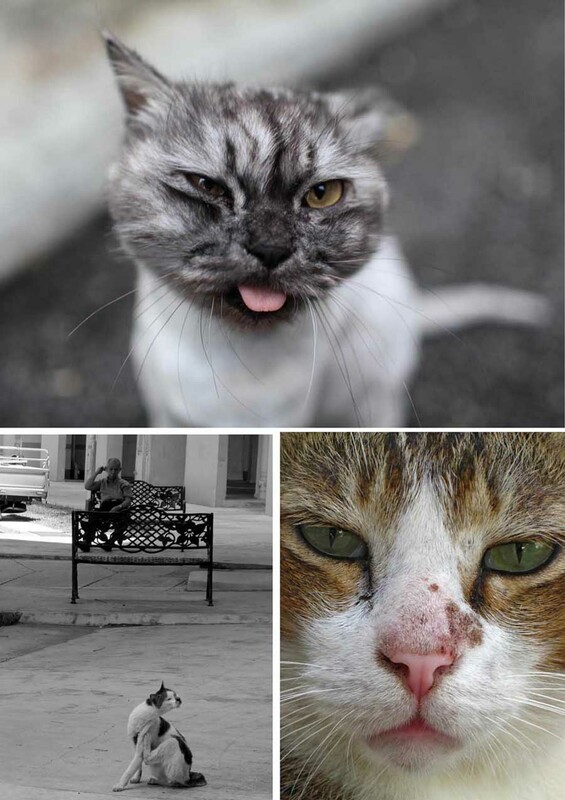 He loves the challenge of photographing stray cats, as they force you to look in places people don't normally look, and to make quick shooting decisions. They are great skills to have for all kinds of photography. Kyle Leung is a budding photographer who likes cats as much as humans. He communicates in LOLSpeak whenever possible and is constantly in fear of being neutered. He also runs a food blog for humans. Lawrence Liu is a student at the Nanyang Academy of Fine Arts. His passion lies in photographing moments that will bring a smile to the faces of the public. Being a cat lover himself, he often plays with stray cats and takes pictures of them. He hopes to have a dog and a cat staying with him in his dream home some day. Lee Yan Leong is a public officer who loves to spend his free time on nature photography. He has a weakness for cute little animals, especially cats and enjoys shooting them whenever he goes. Lucinda Law adores felines of all sizes, particularly her 17-year old tuxedo cat, Jarvis, and is fascinated by what a cat is called in various dialects and languages. Her recent favourite is 'ginger cat' in Teochew dialect. Matthew Lee is an IT professional who loves to shoot scenery, stray cats he meets, and unsuspecting humans he knows. He feels it’s good to regularly take time to just laze and watch crazy humans scurry about, or just simply nap like cats. Meredith Jones is currently studying to be a Visual Arts teacher. She loves to take photographs especially of Coco when she is being playful. Coco likes the attention and is very photogenic. 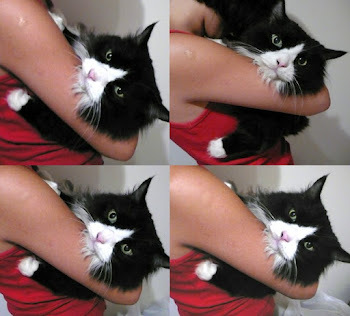 She is also very affectionate and loves to have her fluffy belly rubbed when she lies on the couch. Natasha Chooi is a corporate planner who lives with five dogs and many cats (don’t ask). Most of her time is spent with her pets and community cats (occasionally dogs). She loves cats for their prima donna personality. Sulin Lee is currently a D.I Artist at a wedding photography company. An avid cyclist (road hazard), she spends her weekends exploring Singapore and playing with kitties that she meets along the way. Tan Shung Sin edits pictures for a living at an international news agency. He loves photography, music, travel and cats big and small. He finds himself taking more pictures of furry felines than humans on his travels. 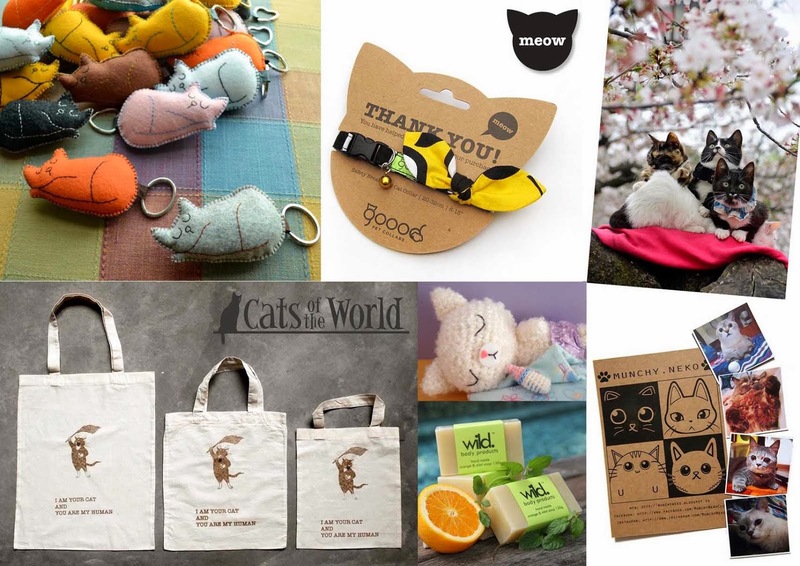 Vanessa Sng is a fashion design student from the Nanyang Academy of Fine Arts who spends her free time looking for cats to befriend. She wishes she could just keep one special kitty but that idea has sadly been shelved due to a factor called “Mom”. Other than kitties, she enjoys shooting fashion portraits in her free time. Xander Lee is currently an Art Director at Ogilvyone Singapore. When he’s not searching the internet for the next cat related viral video, Xander finds time to enjoy the little things in life (like catching up on the latest episode of Doctor Who). Wendi Wandler volunteers with animal rescue in Canada, and organizes and promotes fundraising events. Her background is in marketing and advertising. Photography is a hobby and she absolutely loves photographing cats. Hello, I like the exhibition very much! Hope there will be more photos next time. Wanted to buy some souvenirs but found out it was only on saturday and i went on a weekday.